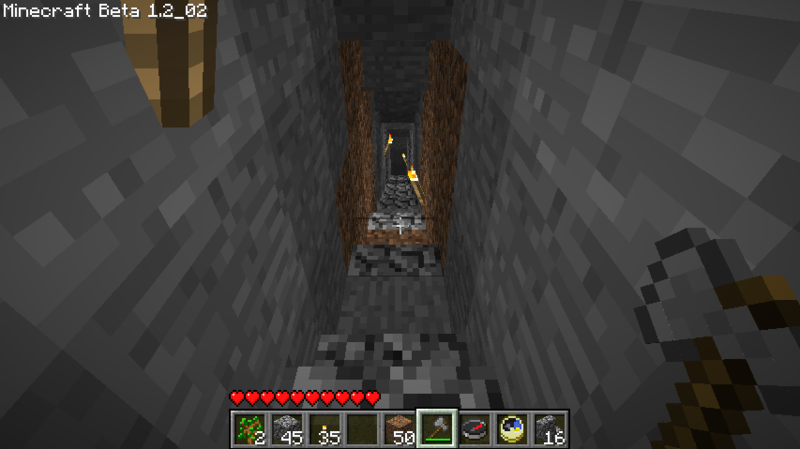 I’d gotten a little overwhelmed by the size of the cave I found the last time I went mining, but after my recent house work, I decided it was time to head back down to the mines. 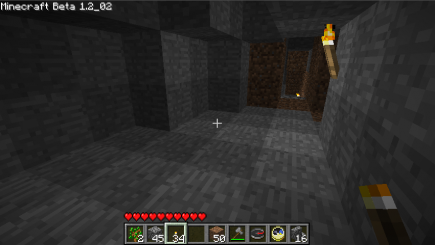 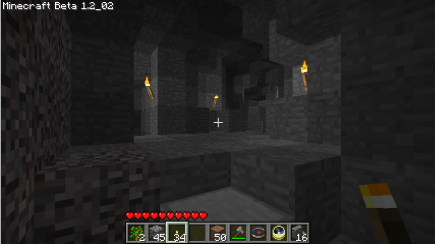 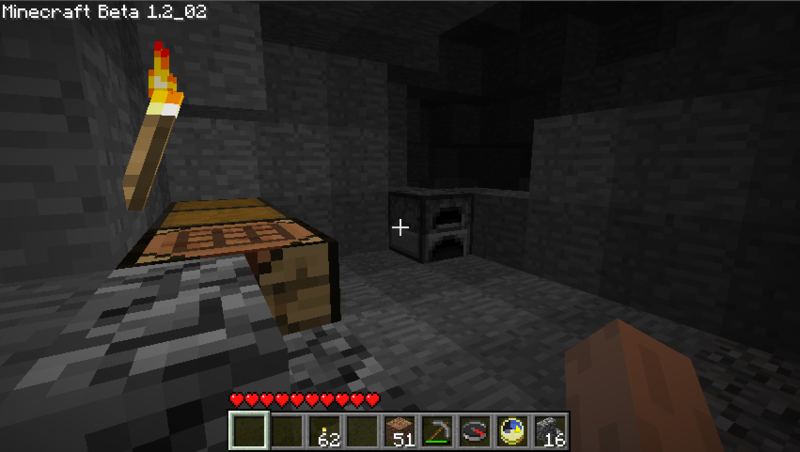 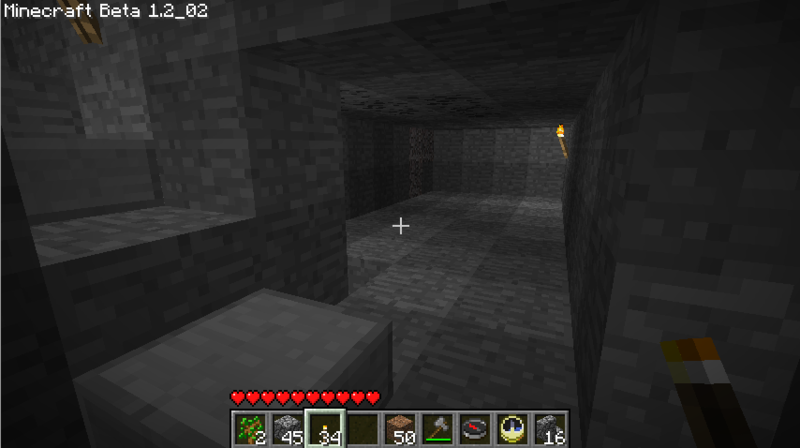 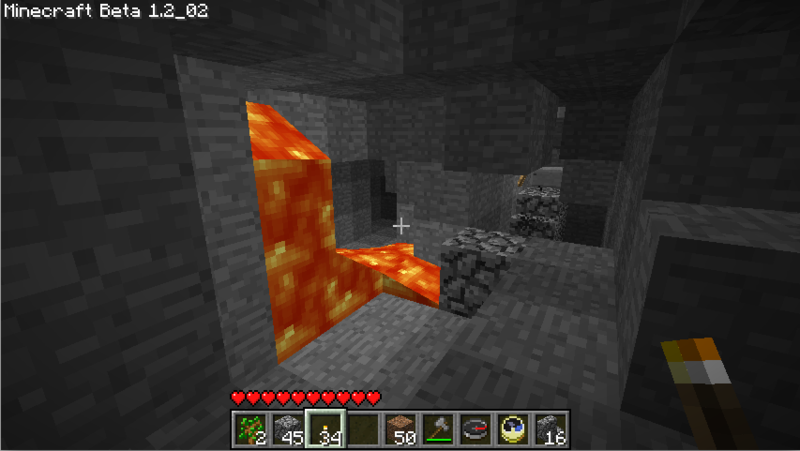 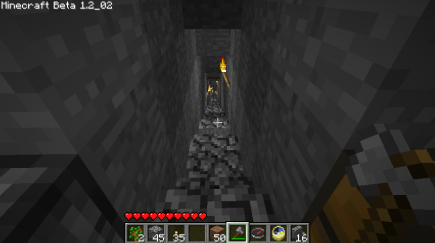 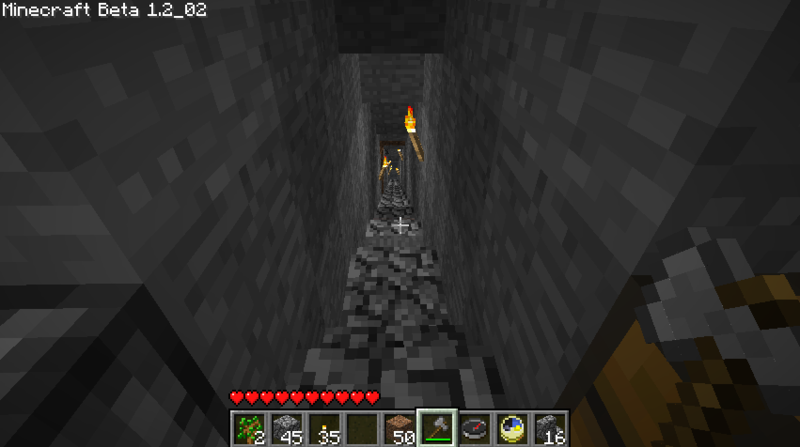 (Among other things because I wanted access to more ores – I hadn’t found any gold, redstone, or diamond.) 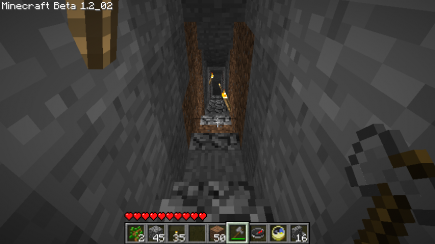 So I went down to the basement of my house, and started digging in a different direction. 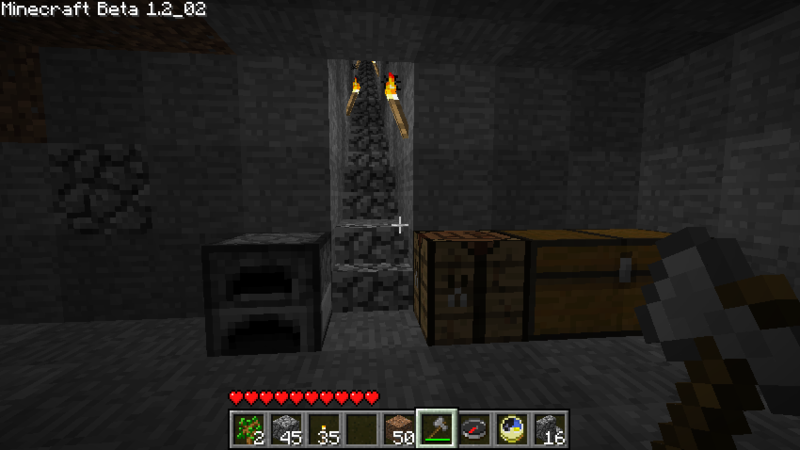 After a bit, I hollowed out a workroom, and then kept going. 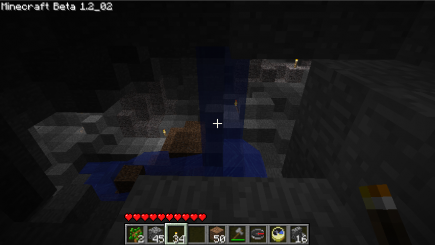 What's that waterfall cave doing here? 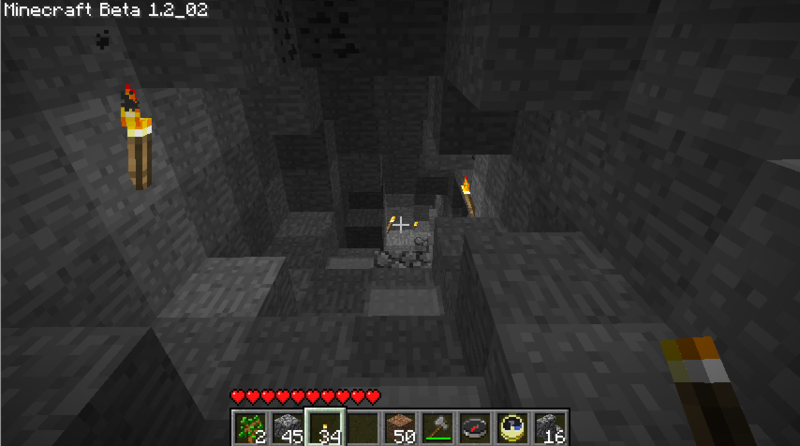 Purely by chance, even though I hadn’t paying any attention to where I was digging, I’d ended up at a cave that had a view of the earlier waterfall cave! I’ll have to admit, it was very odd to look through that window and see torches there: I’d thought I was digging through new terrain. 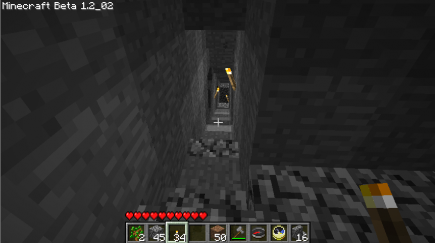 It was odd, and it was also a little frustrating: the whole point of this digging was to do mining in a way that ran into less overwhelming caves. So I did a U-turn and started digging from that room in the opposite direction, back under where I’d come from. 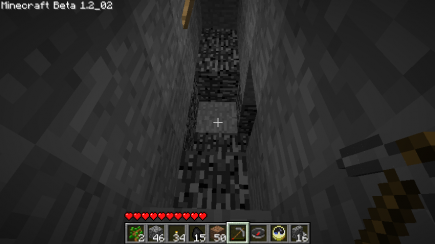 If I’m remembering correctly (I wasn’t in the habit of taking pictures at this time), this is where I found my first gold! 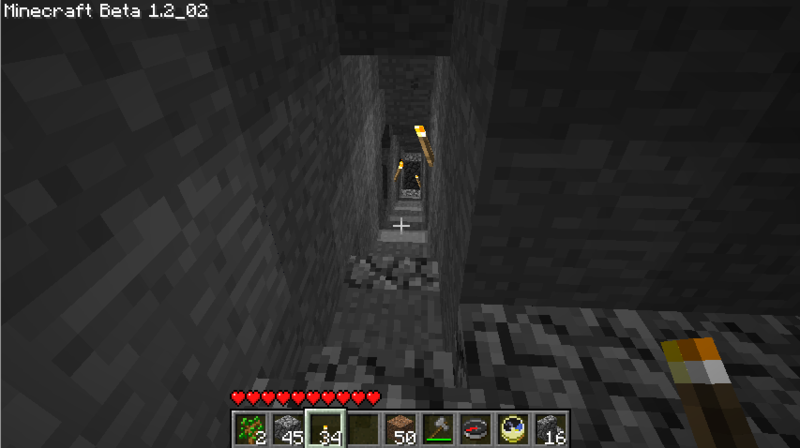 And it was a large cave, large enough that I didn’t end up exploring it all: instead, I went back to where I’d been digging stairs and continued doing so. So: success! 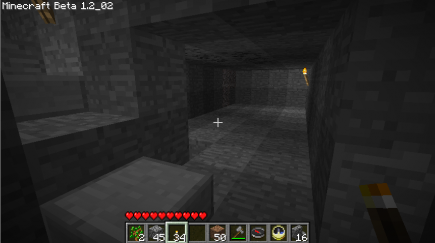 I still haven’t found diamond, but redstone and gold meant that I could build a compass and a watch, which were the two main items that I wanted. And that view of the earlier waterfall cave, was really something: I can’t imagine having created a view like that if I’d planned it myself, yet the world just gave it to me.